Note: This is one in a series of stories leading up to Concordia University Wisconsin’s spring graduation ceremonies. Check back tomorrow for more stories celebrating some of CUW’s unique graduates and/or programs. Jordan Schroeter wears a hat every day. The 22-year-old Grafton native has a wide range of hats in his collection, from fedoras to baseball caps, and rotates them each day. “It’s my thing,” he quips. Jordan has a lot of “things” going for him. He is a senior at Concordia University Wisconsin majoring in pre-seminary studies. When he’s not studying or leading Bible study, Jordan mentors young adults with cognitive disabilities and hangs out with his many friends across campus. Jordan will also soon join the 540 other Concordia University Wisconsin undergraduate students who will cross the stage to receive their diplomas during the Saturday, May 14, commencement ceremony on Concordia’s Mequon campus. Only Jordan will not be walking in the ceremony. Due to Spinal Muscular Atrophy (SMA), a genetic disease that breaks down the nerve cells in the brain and spinal cord, Jordan is confined to a wheelchair. So when Jordan’s name is called, his diploma will be walked to him. Jordan doesn’t waste time dwelling on his condition. He is on a mission to help people see their own value and discover the gifts that God has given them. Jordan hasn’t always felt this confident. As a new student at CUW, he struggled with questions about his own worth. Through prayer, his relationships with students and professors, and by the love and grace of his family, Jordan eventually learned to find strength in his weaknesses, and now wants to help others do the same. Jordan plans to be a pastor one day. Upon graduation, he will enroll in an online seminary program to earn a master’s degree in divinity. In the meantime, he will continue to live with his family in Grafton, Wis., and intern at his local church. 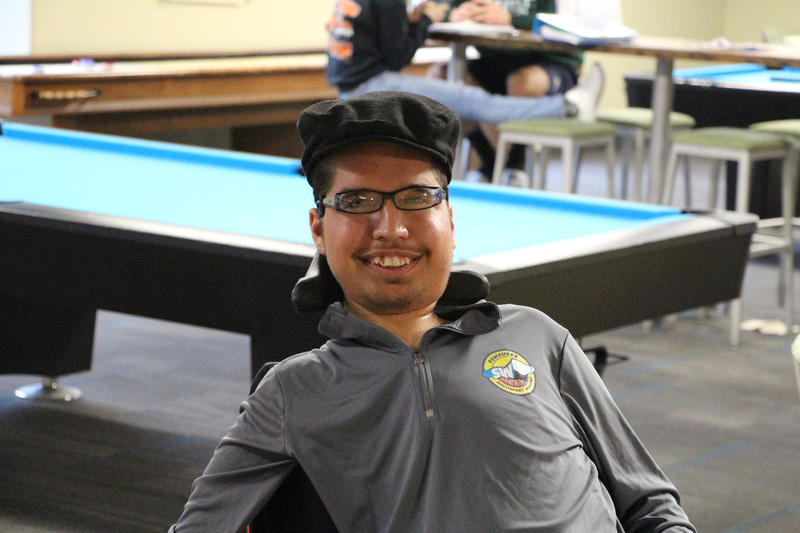 As the Concordia University Class of 2016 files into the ceremony on Saturday afternoon, Jordan will lead the procession in his motorized wheelchair with the mortarboard resting, like one of his habitual hats, comfortably on his head.